« NORSEMEN – Italian Death Metallers Announce New Album “Bloodlust”! One of the very first Italian heavy metal bands returns with its first full-length album in eight years, Metal Shock! Trailblazing and traditional metal ensemble TIR will release Metal Shock May 10th on Gates of Hell Records. The album’s first single is streaming below. Metal Shock is the band’s second full-length in a career that dates back to 1980. Metal Shock is an album that challenges the old-school metal status quo by having lyrics sung entirely in Italian. 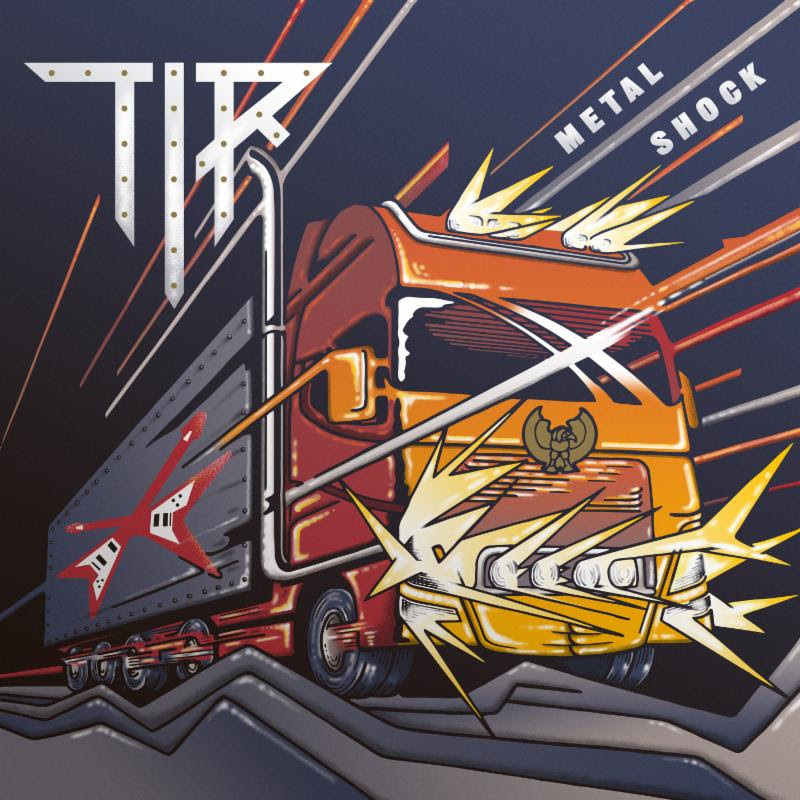 Recorded at Trick Studio in Rome in late 2018/early 2019, Metal Shock is sung entirely in Italian, giving TIR yet another angle in a career that has been marked by going against the grain. Several of the songs found on Metal Shock date all the way back to the band’s halcyon ’80s period and were subsequently re-written and tinkered with until the members of TIR were satisfied. This type of meticulous detail shines throughout the album, where TIR’s penchant for knifing twin guitar melodies, hefty gallops and the multi-faceted vocal capabilities of Cialone are pure touchstones of metal’s undisputed glory era. Traditional metal fans will instantly heed the call of TIR’s melody-dominated style and taut songwriting approach. 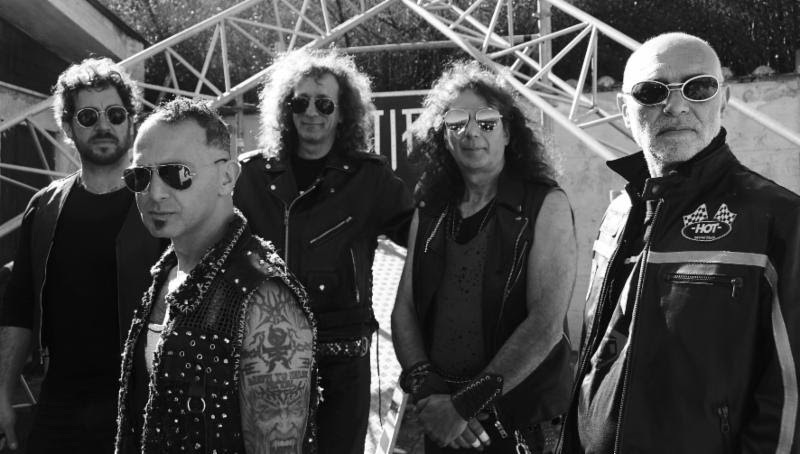 Metal Shock marks a new beginning for a band, who, even as they are approaching the four-decade mark, are playing some of their most inspired material to date. TIR shows with Metal Shock that there is nothing stronger than conviction. A year away from their 40th anniversary, Italian traditional metal outfit TIR remains one of the best-kept secrets in the underground. Formed in 1980 by the guitar tandem of Sergio Bonelli and Danilo Antonini, TIR opted for the path of most resistance: Instead of releasing studio albums and seeking major label assistance, they preferred to perform live shows. Their performances soon became can’t-miss events in Rome. Aided by fire, pyrotechnics and even live snakes, TIR’s reputation spread like wildfire (no pun intended) in their home city, catapulting their lone release of the decade, 1984’s self-titled demo, into the frenzied world of underground tape trading. However, while the metal scene waited for TIR to record a proper full-length album, the band stuck to their guns and simply kept playing live. TIR would split in 1986, only to reform two years later. It wasn’t until 2011 that the band saw fit to release an album of original material, the appropriately titled Heavy Metal. Eight years later, TIR (who, in addition to Bonelli and Antonini, comprise long-time bassist Dino Gubinelli, vocalist Giuseppe Cialone and drummer Piero Arioni) return with Metal Shock, their first release for Gates of Hell Records. This entry was posted on April 5, 2019 at 7:33 pm and is filed under Hard Rock, Heavy Metal, Metal, metal music, Music, music news, music videos, news, rock music, world news with tags 80's metal bands, classic metal, Heavy Metal, italian metal bands, metal albums 2019, metal odyssey, tir, traditional metal. You can follow any responses to this entry through the RSS 2.0 feed. You can leave a response, or trackback from your own site.